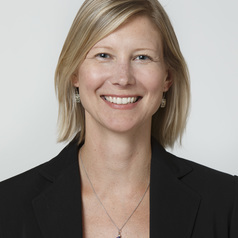 Taryn Morrissey is a policy researcher whose work aims to examine and improve public policies for children and families. She is an associate professor of public policy at American University, a non-resident fellow at the Urban Institute, and a Commissioner on the Washington, DC Office of the State Superintendent of Education’s Healthy Youth & Schools Commission. Her ongoing research examines early care and education policy, family economic instability, and neighborhood poverty. Her work has been published in journals including "Pediatrics," "Child Development," "Developmental Psychology" and the "Journal of Marriage and Family." From January 2013 to August 2014, Morrissey was on leave from AU serving as senior advisor for human services policy in the Office of the Assistant Secretary for Planning and Evaluation (ASPE) at the U.S. Department of Health and Human Services. She worked primarily on President Obama's Early Learning Initiative, including Early Head Start and child care. Prior to joining the American University faculty in 2010, Morrissey served as a Health Policy Advisor on the staff of the U.S. Senate Health, Education, Labor and Pensions (HELP) Committee, first for Senator Edward Kennedy and then for Senator Tom Harkin. Morrissey worked primarily on federal health reform legislation, particularly child and maternal health and workforce issues. She began her career in policy as an American Association for the Advancement of Science (AAAS) / Society for Research in Child Development (SRCD) Congressional Fellow. Washington, District of Columbia., U.S.